Some high-end tequilas such as Jose Cuervo, Herradura, Patron and Don Julio will be largely launched in Beijing, Shanghai and Hong Kong by the end of the year. "We are expecting to export 10 million liters of tequilas to China in five years, and make China the second largest market after the United States," said Francisco Soltero Jimenez, general manager of Mexico's national tequila industry association. Until recently, China restricted imports of foreign liquor that exceed 2 grams of methanol per liter, citing harmful health effects. Most high-quality tequila -- made with 100% agave -- contains more methanol than the limit. Consequently, high-grade tequilas have been largely unavailable to Chinese drinkers. But China recently reassessed tequila's risks and found that tequilas with more than 2 grams of methanol per liter don't pose any harmful health effects. Mexico currently exports tequila to more than 100 countries, but nearly 80% goes to the United States, according to Mexico's national tequila industry association. China consumes 5 billion liters of spirits every year, led by cognac, whiskey and vodka. Drinking has been a long-standing part of Chinese culture, especially during business banquets. And tequila's flavor profile is similar to traditional Chinese wine, a strong drink. "We will have more promotions in Beijing, Shanghai and Hong Kong," Jimenez said. "Some high-end tequila such as Jose Cuervo, Herradura, Patron and Don Julio will be largely launched in China by the end of the year," he said. Tequila makers are trying to encourage China's growing new rich to buy the alcohol by leveraging its mystique and novelty, Shanahan said. "There has been significant growth in food services and restaurant sales on top of grocery sales in China," Shanahan said. "And the Chinese market likes foreign prestige brands. These are indicators that tequila will be popular in China." "Chinese consumers want to spend money on luxurious and unique foreign products to increase their social standings in a fashionable way. 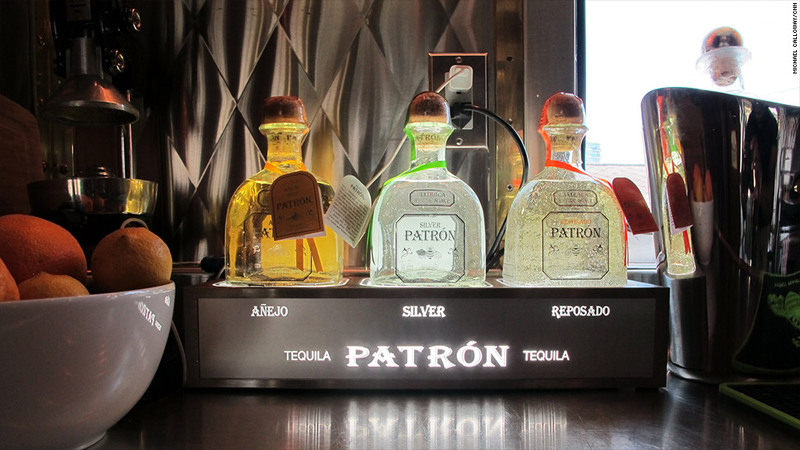 Tequila is one of many products that will become part of the equation," Shanahan said.